Extreame Savings Item! Free Shipping Included! 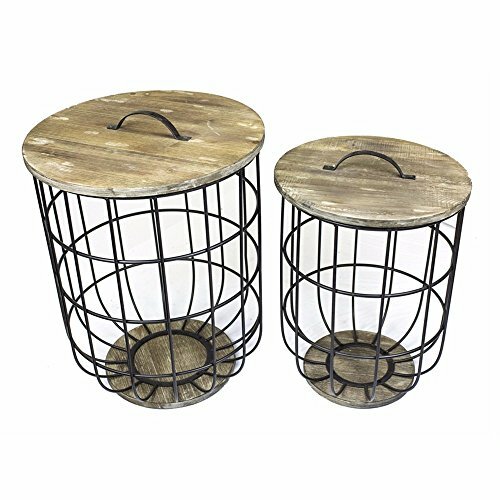 Save 43% on the Benzara Stylo Storage Tables (Set of 2), Black/Brown by Benzara at Momiji Studios. MPN: BM160666. Hurry! Limited time offer. Offer valid only while supplies last. In any household, storage space is never quite adequate. Here is a tidy set of storage tables that are aesthetic and can easily be part of a space. In any household, storage space is never quite adequate. Here is a tidy set of storage tables that are aesthetic and can easily be part of a space. These are good to look at and need not be hidden in a dingy corner. A perfect example of household design that is not just practical but thoughtful enough to be presentable.